Bolstering the firm’s nationwide practice in privacy, data security and technology transactions, Fox Rothschild LLP is pleased to welcome Odia Kagan as a partner and chair of the GDPR Compliance & International Privacy Group in the firm’s Philadelphia office. Over the past few years, Kagan has assisted more than 80 companies, from U.S.-based multinationals to startups across all industries, on their path to compliance with the EU GDPR. 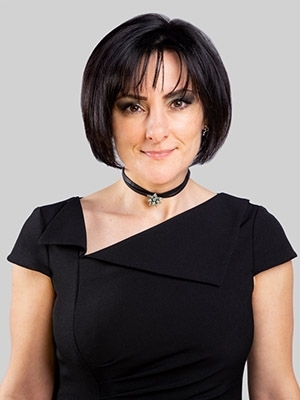 She leverages her transactional experience leading M&A and tech transactions with her in-depth knowledge of complex privacy and data security regulations and best practices in the United States and abroad to provide effective, ongoing counsel to clients in their day-to-day operations. Kagan is certified as a Fellow of Information Privacy (FIP) by the International Association of Privacy Professionals (IAPP), a designation signifying comprehensive knowledge of privacy and data protection laws. She has also been certified by the IAPP as a Certified Information Privacy Manager (CIPM), a Certified Information Privacy Professional in the laws of the United States – private sector (CIPP/US) and the laws of the European Union (CIPP/E) and by the PECB as a Certified Data Protection Officer (CDPO). A former partner at a Tel Aviv-based law firm, Kagan is fluent in Hebrew and garnered substantial experience with Israeli startups and multinational companies on cross border transactions. She previously served as a first lieutenant in the Israeli Defense Forces, where she was a military advocate and legal adviser to the Military Advocate General. Kagan serves on the advisory board of Prifender, a privacy compliance startup, and on IAPP’s Publications Advisory Board. She co-chairs IAPP’s Philadelphia KnowledgeNet chapter and the Philadelphia Bar Association’s Cyberlaw Committee and is also a member of the Philadelphia Bar Association’s Executive Committee. Kagan holds an LL.M in IT and Telecommunications Law (with distinction) from the University of Strathclyde, an LL.M. from Temple University and an LL.B. from Tel Aviv University. Prior to joining Fox, Kagan was of counsel at Ballard Spahr LLP.